When she decided to return to the Church, she did so kicking and screaming. She had so little faith that God had to open her eyes and heart to her true calling. 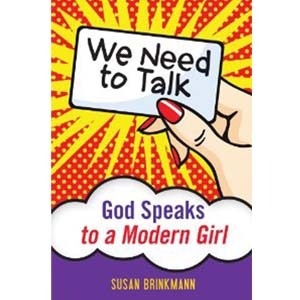 When God entered Susan Brinkmann's world, he waded into knee-deep piles of sin and daily dealt with her stubborn refusal to like him. And he did something amazing. This is the story of that miracle--not just a little moment, but something huge. He didn't change her. He helped her become who she really was. If you've drifted into complacency, find in We Need to Talk the inspiration to recognize the pull of God's voice and respond.